A little history for those of you who are visiting for the first time. We - Geoff and Jennifer - have been visiting France for over twenty years now, exploring and buying brocante, firstly for our shop in Akaroa, New Zealand and later, after we sold that business, for an online shop. Today we host small groups who wish to explore the markets of France and offer assistance to independent travellers who want to go it alone. From time to time we email newsletters to our friends, customers, fellow travellers and anyone with an interest in France or brocante, letting them know what we are up to, where we are in France and what we have to offer. If you would like to be included, please join our mailing list. So Quoi de neuf? What’s new? Obviously, the new website. But you’re already there. We’ve been very busy this summer with several projects on the go, including completing and publishing our book, Une Bonne Affaire. But there’s a bit of light ahead now and at the end of the tunnel we can just make out a short fat canal boat…all we need now are our long-term visas and we can join ‘Waiheke’ in May. 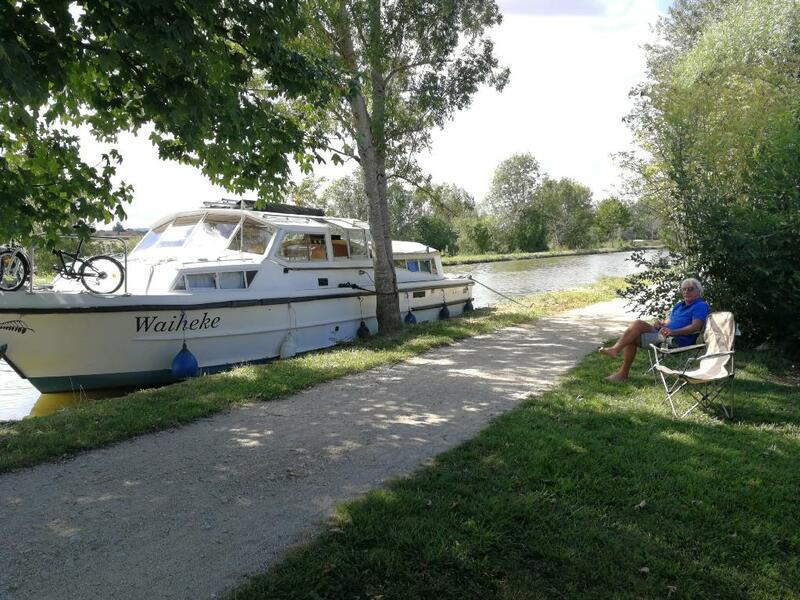 Due to unforeseen circumstances we reluctantly decided to abandon this September’s brocante tour in the Loire - a big disappointment to a couple of clients but we hope to make amends when they join us on Waiheke instead. This was to have been our last tour in the Loire – however we still have unfinished business there and more importantly a large number of contacts and a wealth of knowledge of the area and would love to share it one last time. This will be entirely dependent on you – so if you want to join us in the Loire in 2020, or you know someone who might, please contact us. This year, along with another couple of Kiwi canal boaters, we will investigate possibilities for hosting groups in Burgundy with the emphasis not only on buying brocante, but also on boating, biking and art classes. There’s a rather delectable little château, right on the banks of the Saone we need to check out… we will make sure to include photos on our Facebook page and would welcome your input and suggestions. We leave for France in late May. You can follow us on Facebook.